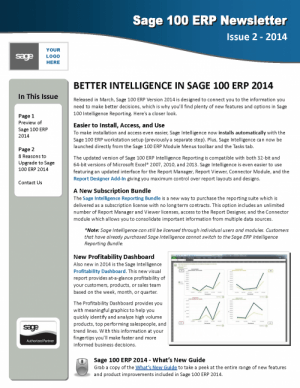 The past several of months have brought many changes to the Sage Community. Here at Juice Marketing, we’ve been busy helping Sage Partners prepare for these changes with improved marketing materials, personalized guidance, and fresh strategies. 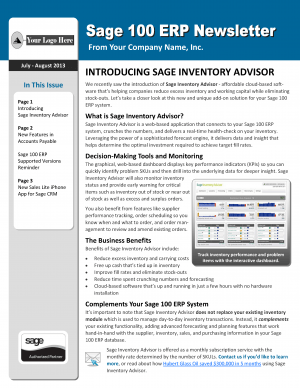 We recently enhanced our popular Sage Product Newsletters with brand new design options and email templates. Now our Sage partner subscribers have even more options to keep in touch with customers, sell add-on modules, and generate service revenue. Looking for a quick and easy way to demonstrate your industry expertise? Look no further than the Juice Marketing Customer Buzz program. These one-page customer testimonials cut right to the good stuff by focusing on the challenge, solution, and results of a customer’s ERP, CRM, or other technology implementation. 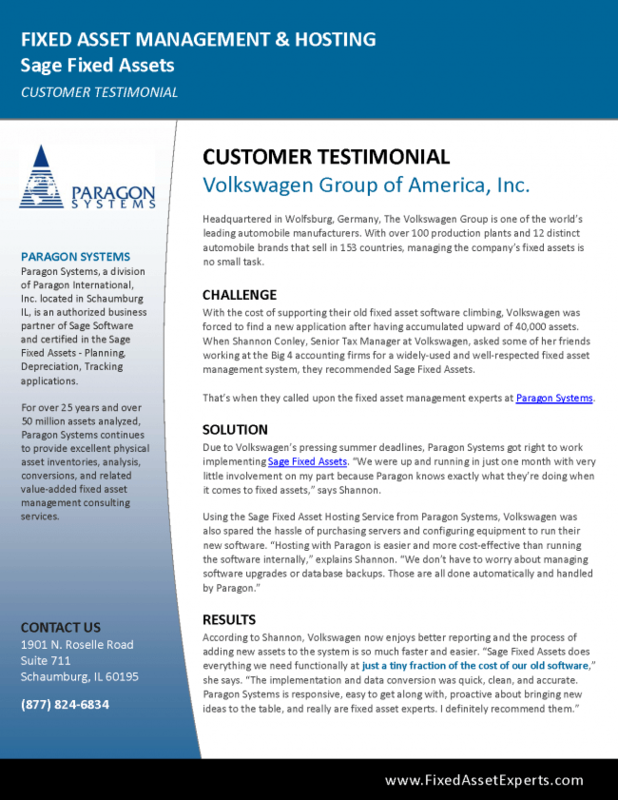 With the cost of supporting their old fixed asset software climbing, Volkswagen turned to Paragon Systems to implement Sage Fixed Assets to manage over 40,000 assets at just a tiny fraction of the cost of their old software. 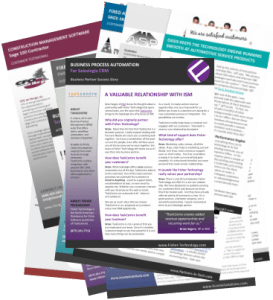 Our expertly designed Lead Nurturing Newsletters are an easy and cost-effective way to keep in touch with prospects and move leads through your sales cycle. Offering interesting and useful business software and technology tips, these newsletters are tailored to your needs (Distribution, Manufacturing, HR/Payroll, etc). Equation Technologies works with Juice Marketing to produce a consistent email newsletter that features business articles, helpful tips, and useful resources to nurture leads and stay top of mind with prospects. Acente Solutions, a Sage HRMS Reseller in New Jersey, uses articles from the Juice Marketing Content Vault combined with our email design services to create their bi-monthly AcenteWire Newsletter. 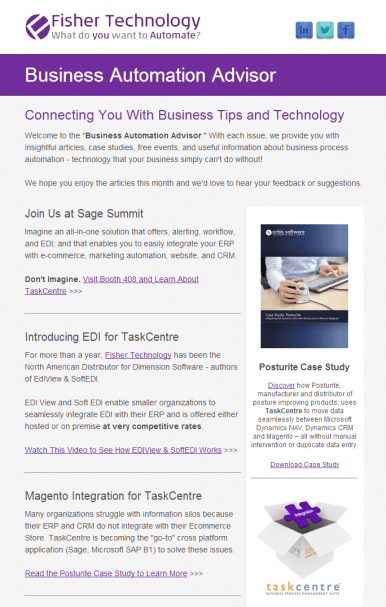 Each newsletter drives traffic to the Acente Solutions blog and keeps them in touch with their customers. 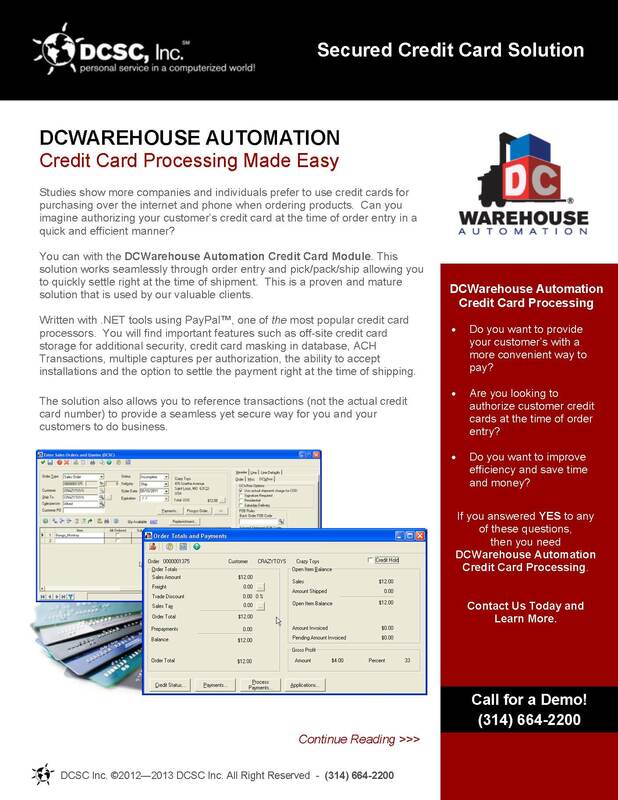 The Fisher Technology “Business Automation Advisor” email newsletter provides their customers with insightful articles, case studies, free events and useful business information. DCSC, Inc. came to Juice Marketing for a design makeover for their DCMobile brochure. 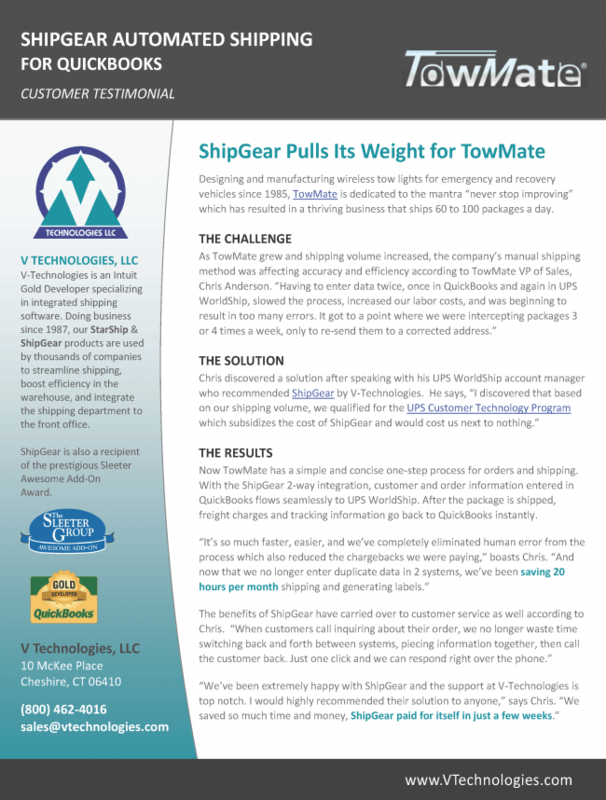 We took their initial brochure and “juiced it up”, creating revised a fresh layout that’s is easier to read, better organized, and features a distinct call to action. Direct mail is making a comeback! 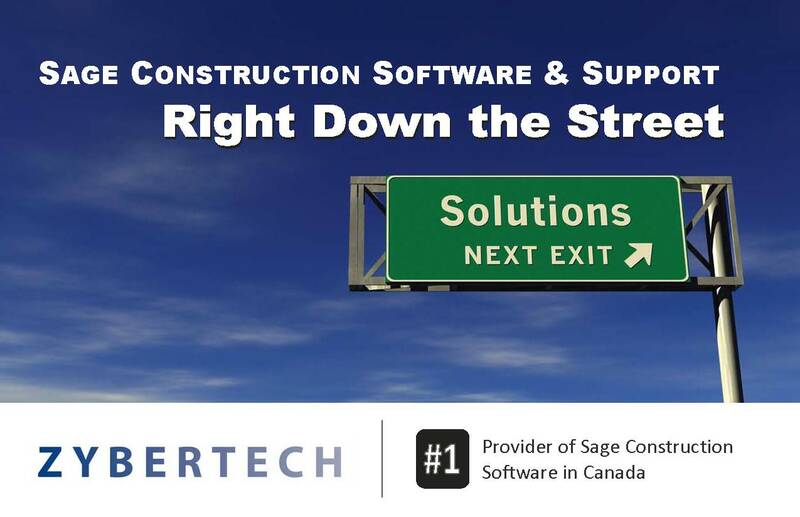 Zybertech Construction Software Services (a Sage Construction Software provider) turned to Juice Marketing to design a postcard that they can send to potential customers in their local area. Every business has a website, but not every website is created equal. The marketing experts at Juice Marketing can help make your website click. Whether you need fresh content for your site, want help managing your blog, or need an entire website makeover and redesign, we can help. 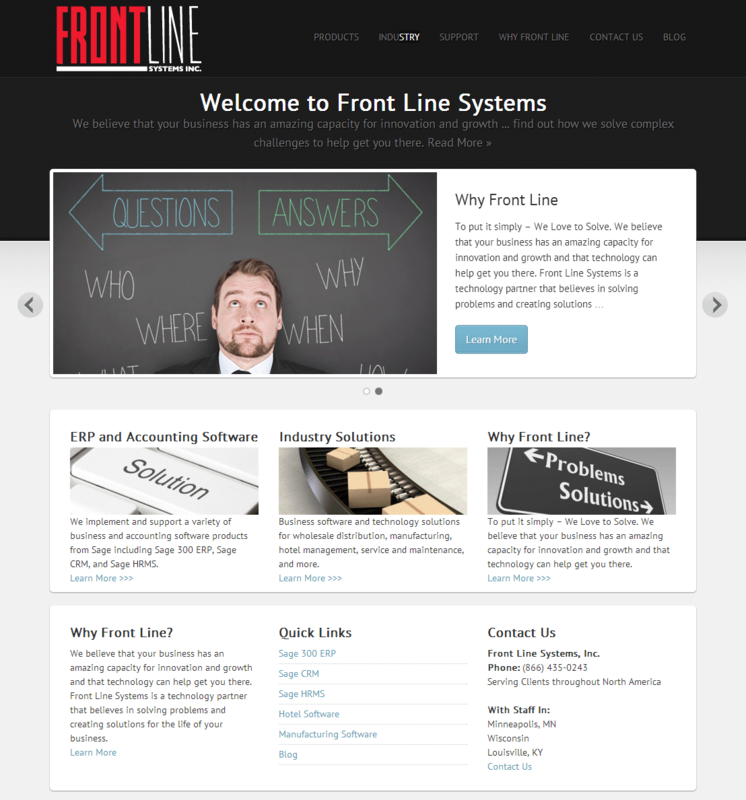 We recently launched a new website for Front Line Systems which was built on the WordPress Framework. Juice Marketing also wrote some web content so it not only looks good and reads well, bit it’s also optimized for SEO and easy to find in Google search. 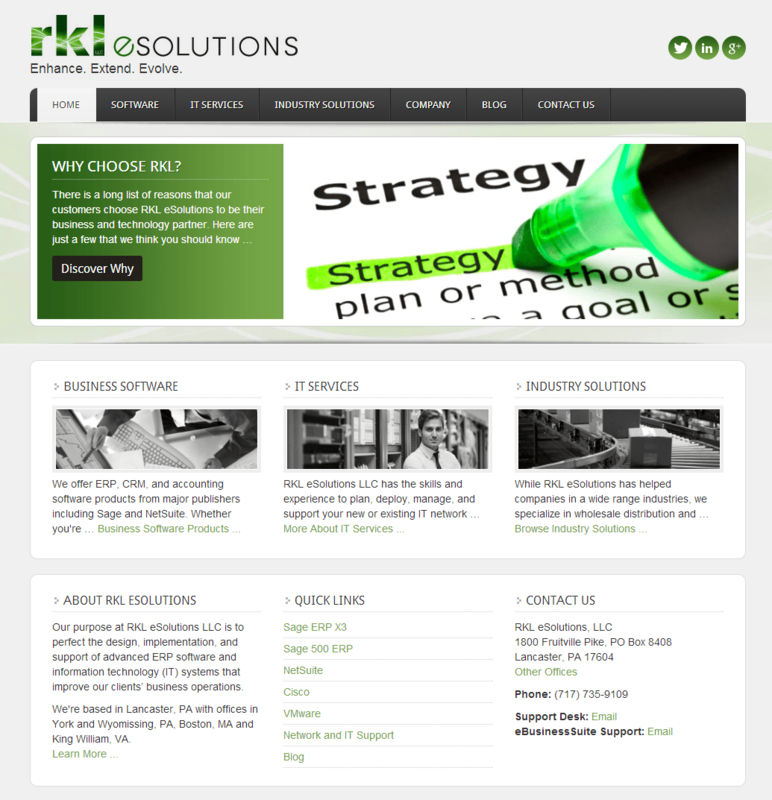 Juice Marketing also recently finished developing a redesigned website for RKL eSolutions. Starting with a WordPress template, we gave RKL eSolution’s web presence a makeover, added new content, and optimized the website for SEO. Contact Us if you see something you like and we’ll discuss how we can help you put some JUICE in your MARKETING! Head over to the Juice Marketing Portfolio page to check out some of our recent Sage partner marketing projects, including email marketing, web design, success stories, and more.